Uruguayan president Jose Mujica, also known as "the poorest president'. has refused to sell his old Volkswagen Beetle to an Arab sheikh for $1 million. MEXICO CITY, November 14 (Sputnik) — Uruguayan president Jose Mujica has refused to sell his old Volkswagen Beetle to an Arab sheikh for $1 million, Noticias24 portal reported Friday. "We have always been friends with 'Beetles', and over the years, while we tried to change the world we live in, we fell in love with 'Beetles'", Mujica was quoted as saying. Last week, President Mujica received a $1 million offer from an Arab sheikh but said that he did not give much importance to the matter. 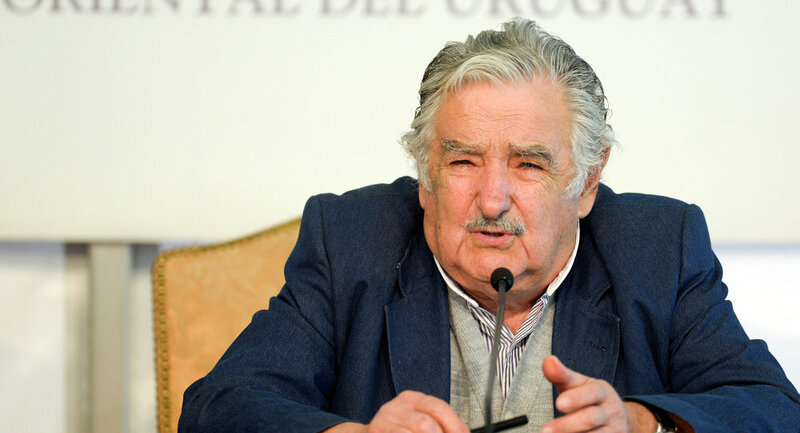 Earlier in September, El Pais daily reported that Mexico's ambassador to Uruguay Felipe Enriquez suggested Mujica put the car up for auction at a price comparable to some second hand off roaders, as the president's car had gained popularity in the media. Mujica pointed out that he has two such cars. The president and his spouse came to the polling station by Volkswagen Beetle to vote at the national election in Uruguay in October this year. The car reportedly couldn't start when the president and his wife wanted to return home. Jose Mujica is known as one of the most extraordinary leaders in Latin America. Uruguayans call him "the poorest president", because he donates almost all of his salary to charity.